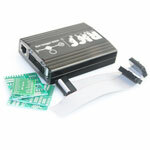 Jpin Jtag was specially designed by Moorc for JTAG boxes such as RIFF, Easy JTAG, Medusa, etc. 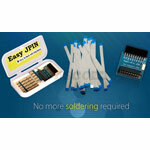 It helps connect your JTAG box to Samsung, LG, Nokia, Asus phones without soldering using jpin flex cables. 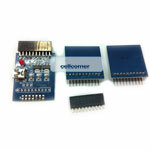 EMMC adapter for Easy JTAG Box (Z3x-Pro) allows you to perform easy repair of phones with disabled access to bootloader via DCC (GT-i9300 / N7100 / N719 / N7102) or phones with damaged JTAG pinouts (access to ROM2 by EMMC). This collection of Jtag jigs helps make test point work easier. 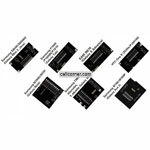 Compatible with HTC One S, Samsung Galaxy S Advance, Mini 2, Note, SII, Ace 2, Tab. 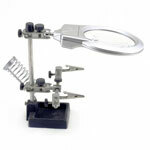 This magnifying tool gives you 2 LED lights and an extra hand for precision soldering, jewelry, crafts projects or any other detailed work where magnification, a steady hold and extra hands are needed. 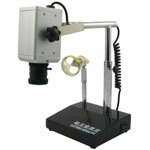 This digital microscope with up to 30x magnification level can be used for circuit board and chip pin checking without extra instruments. 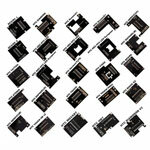 Software allows to easily screen capture, record video, print images, adjust image quality, etc. 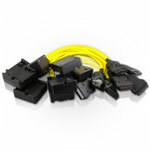 This is an economical, multi-purpose 110-240 Volt AC/DC heat gun with helical wind. 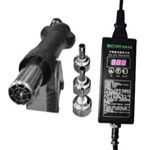 This hot air gun has a portable design and made for servicing electronic products. 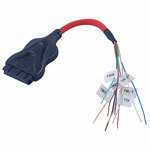 Controlled by a central processor its temperature and airflow can be adjusted according to your needs. 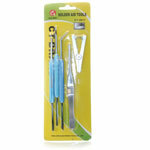 Super useful double-ended tools for soldering or desoldering clean-up and preparation tasks. 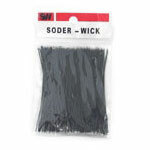 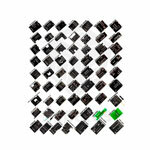 For production soldering and rework tasks. 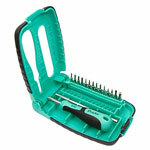 Made of non-magnetic steel with smooth hex shaped plastic handles, 7" overall length. 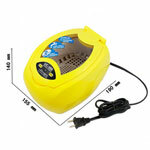 Portable desoldering pump, be comfortable to hold; easy to operate; built-in auto cleanning system to remove solder. 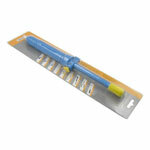 Pro'sKit SD-9804 set of precision screwdrivers consists of 16 different types of bits and bit holder.